VIVIDX partners with 360imaging™ for complete implant case protocols. As dental implants have become a more frequent restorative prescription, the need for a close working relationship with the lab has become paramount. The necessity of diagnostics, case planning, abutment options, and timely lab strategies become vital to patient success. We have consistently expanded our experience and success with implant cases and we can help your practice incorporate the most successful and reliable implant practices. Whether you're just beginning to become involved with implant cases or already have moderate experience, VIVIDX can help you successfully progress from single units to full reconstructions. VIVIDX joins the restorative team with the confidence and expertise that is critical to the success of your practice and your patients. If you already have significant experience with implants, you will appreciate that we work very closely with our accounts to make the best decisions possible based on clear communication of the restorative goal and our concern for the patients’ health and esthetic satisfaction. We are participants and your laboratory partner in the Biomet3i Navigator System for CT guided surgery for immediate-load implant cases. The relationships we build with our clients enable us to provide full diagnostics and case planning for extended restorative cases and esthetic reconstructions including multimedia combination cases involving implants, pressed ceramics, all-ceramic, PFM, and PrepLess™ veneers. We have been a pioneer and leader in “press-to” technology. Whether it’s press-to metal, press-to zirconia or pressed all-ceramic, we have gained the experience and judgment that ensure the most appropriate case plan and restorative success. 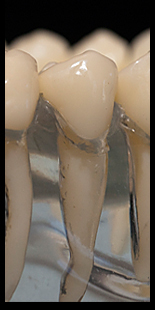 For more than 10 years now we have focused on the development of all-ceramic materials and the restorative techniques that make them such an important part of contemporary dentistry. 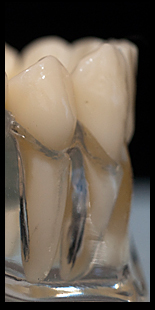 We do a large number of cases and the depth of our experience constantly gives us new insight into the most appropriate application of zirconia frameworks for single units to full mouth reconstructions with large bridges and abutments. We are the industries leading laboratory in teaching our clinical partners and fellow technicians the benefits and parameters of zirconia based restorations. Visit our Calendar for course dates and topics. 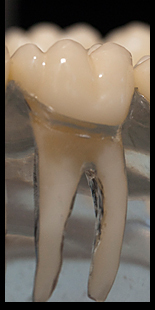 Our full-cast gold restorations provide the ultimate in anatomical detail, function, and bio compatibility: crowns, inlays, onlays.